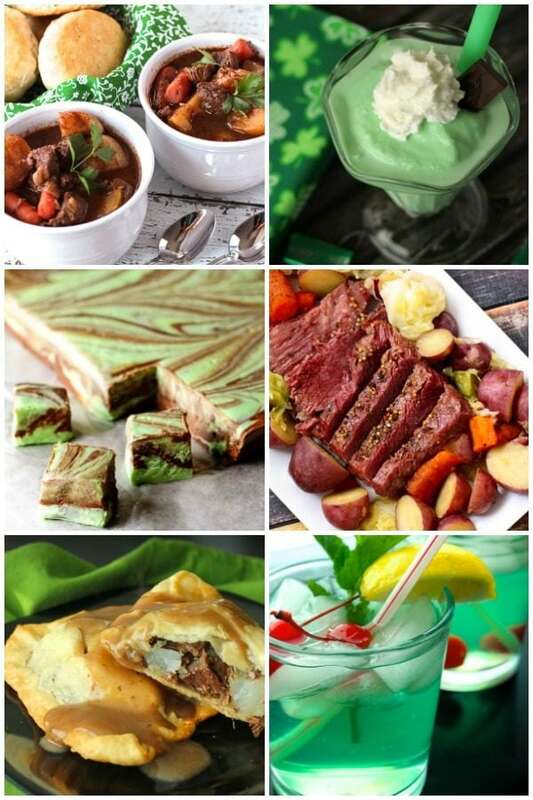 Thinking of some fun St. Patrick’s Day food ideas this year? Look no further! From authentic Irish dishes to green kid-friendly St Patrick’s Day treats, we have it all! 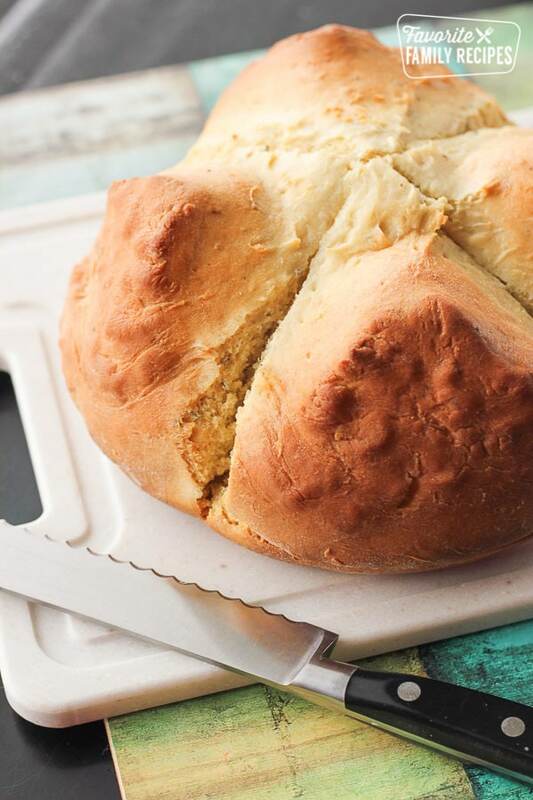 Wondering what to make for your St. Patrick’s Day dinner? You can go crazy and dye everything green (because that’s totally what they do in Ireland.. not really). Or you can try something a little more authentic like these recipes below. 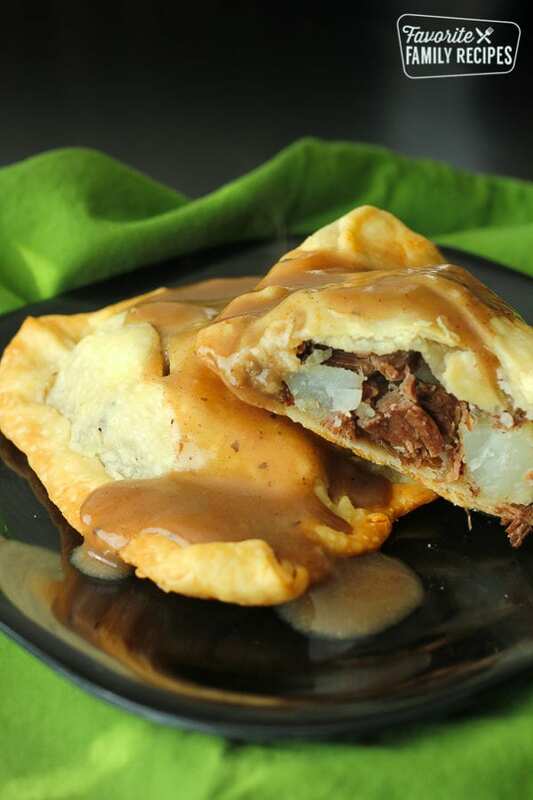 We have been making these Irish pasties ever since our sister married into a family with rich Irish heritage. It is the longest-running St Patrick’s Day food tradition in our family. These pasties have been a tradition in their family for generations and we adopted the tradition into our own families each year. 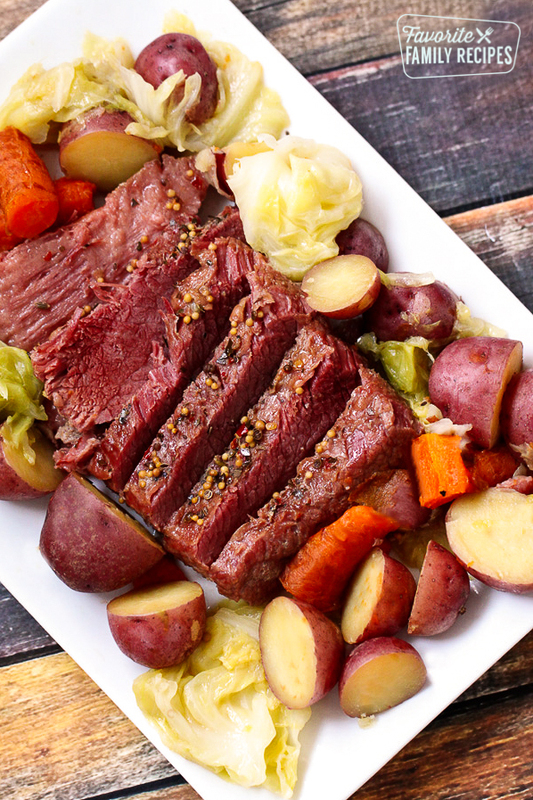 You probably can’t get more Irish than Corned Beef and Cabbage. Enjoy tender, tangy beef and flavorful cabbage in hardly any time at all when cooking it in the Instant Pot! One of our very favorite Irish comforts foods has got to be this Irish Beef Stew. You’ll get big chunks of tender beef with potatoes and carrots in a thick, hearty gravy. SO good! Perfect for St Patrick’s Day or any other time of the year. Corned Beef Sandwiches are a really tasty Irish sandwich, especially when they are made with our homemade dressing! Just one bite and your luck will change for the better! You may actually catch that sneaky Leprechaun this year and make him take you to his pot of gold at the end of the rainbow! Ok so you have decided what St Patrick’s Day food you want to make for your main course. But what about an Irish-inspired side dish? We have several easy side dishes that will go great with your favorite St Patrick’s Day dinner! 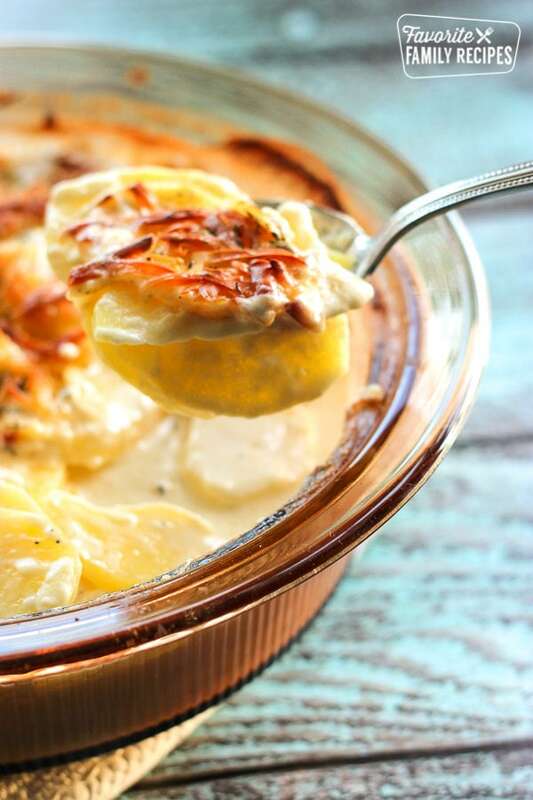 Scalloped potatoes (aka potatoes au gratin or dauphinoise potatoes) are always a great choice with any Irish dinner. You can never go wrong with potatoes! Serve alongside Corned Beef and Cabbage or even a simple Sunday Pot Roast. This authentic Irish Soda Bread is the perfect bread to accompany your St Patricks Day meal. 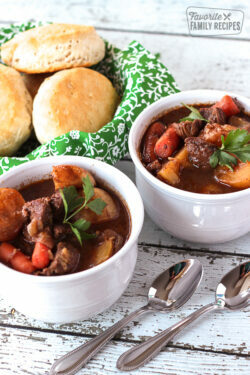 Our favorite meal to serve it with is Irish Beef Stew (see above). It is super easy to make, there is no yeast, no waiting for it to raise, no waiting at all. You just mix it up, give it a little kneading, and it is ready to throw in the oven and bake. You are going to love these Roasted Potatoes with Brussels Sprouts. 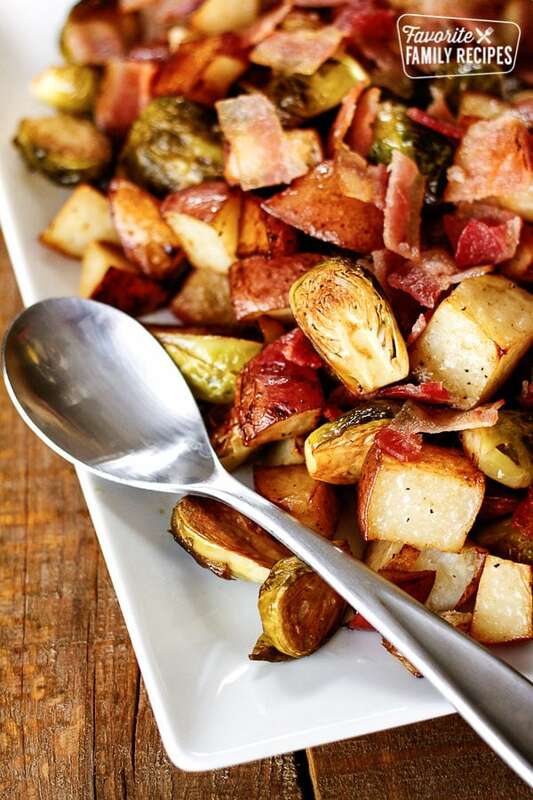 With tender potatoes, crisp Brussels sprouts and savory bacon, this dish has something for everyone! It has a little of everything, making it the perfect St Patrick’s Day food. 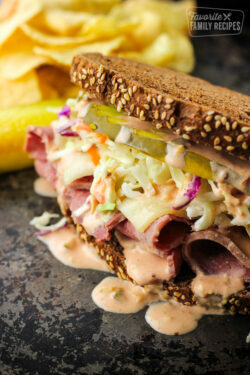 Serve with corned beef, rotisserie chicken, or any St Patrick’s Day meal. Since we have SO many great potato side dishes that would work great for St Patrick’s Day, it wouldn’t be right to leave you with just a couple of them! 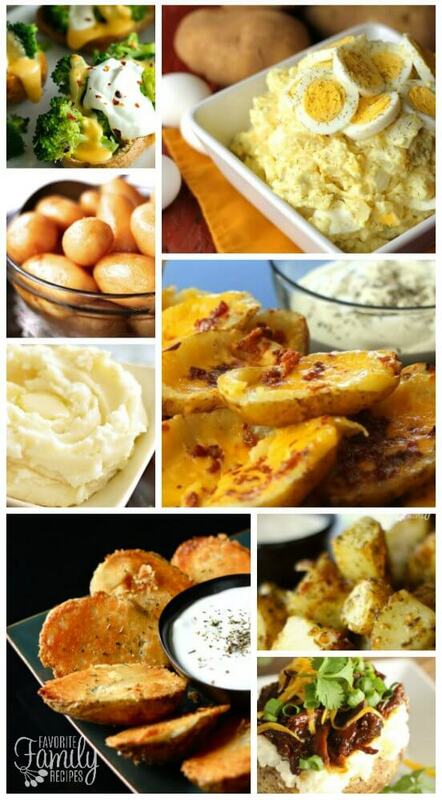 To check out ALL of our potato side dish recipes click HERE. I have to admit, sometimes our St Patricks Day food consists of green Jell-O for dessert. 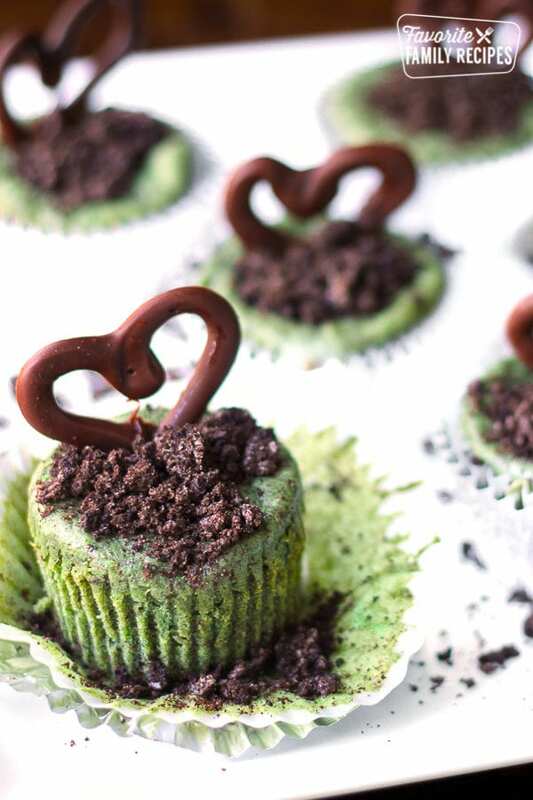 Though there is nothing wrong with that, these St Patricks Day desserts are MUCH better! They may take a little more time than Jell-O but it’s totally worth it! 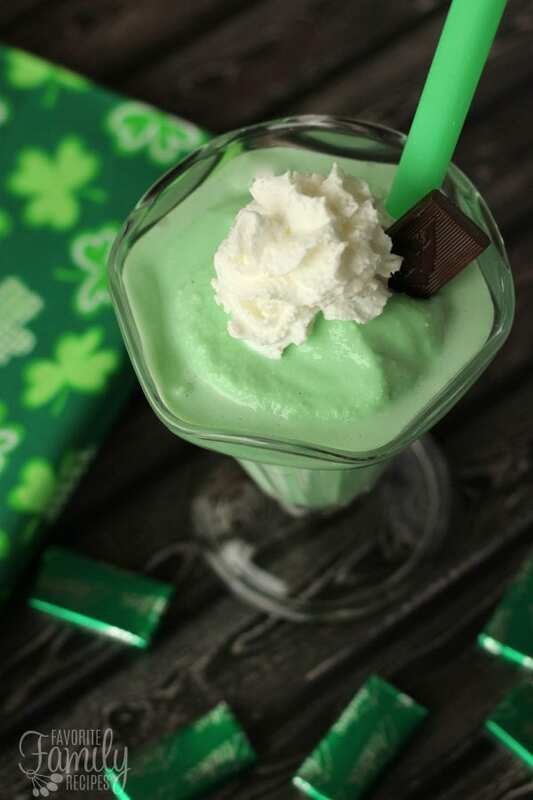 The seasonal green mint flavored Shamrock shake is a family favorite around St. Patrick’s Day. Our cool, minty shake is even creamier and more delicious than the fast food version and you can make it all year round! These Mini Grasshopper Cheesecakes are super easy and so incredibly cute! All you need is a few ingredients, regular sized muffin tins and a package of Oreo cookies! This is a really fun and easy recipe to do with kids for St Patrick’s Day. 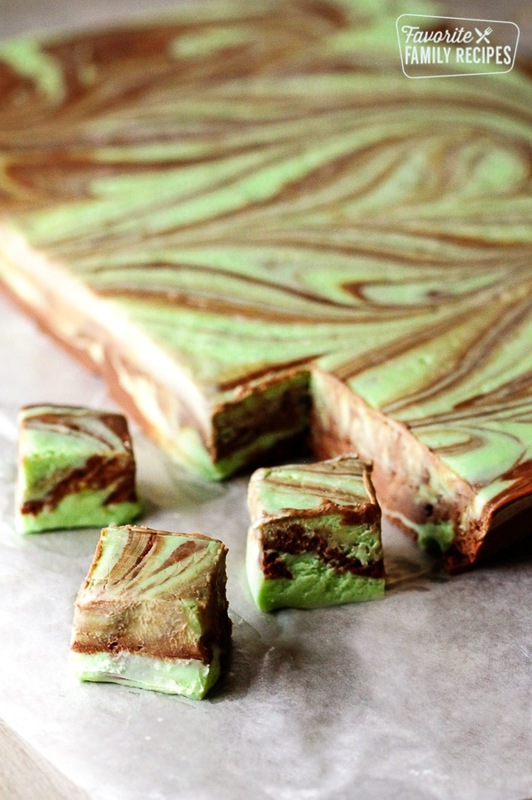 This mint chocolate fudge swirl is especially great for St. Patrick’s Day but of course it can be enjoyed all year round. Though a little more involved than other St Patrick’s Day food recipes, it is totally worth it. One batch makes 30+ servings so it is a perfect treat for your next St Patrick’s day party! I know, I know “Non-Alcoholic St Patrick’s Day Drink” sounds like an oxymoron. Since we don’t drink alcoholic beverages, we have to improvise sometimes. 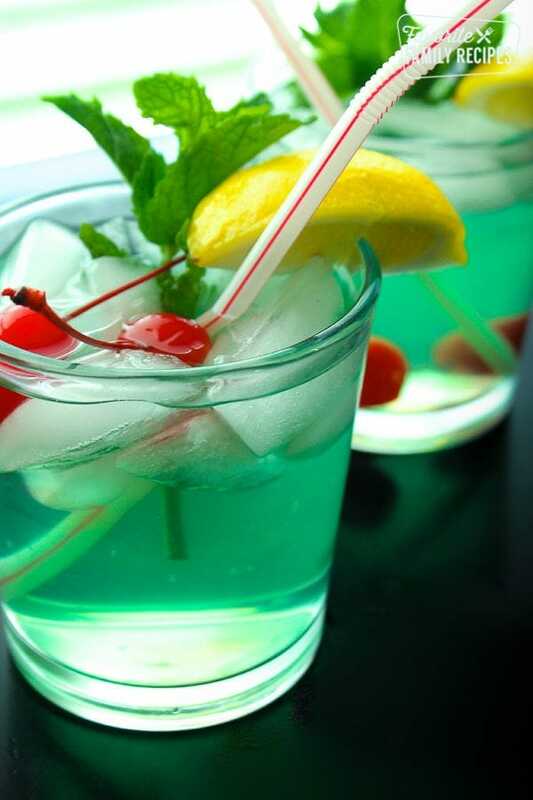 Here are some of our favorite family-friendly drinks for St Patrick’s Day. Mint Juleps are one of my favorite things to get at Disneyland. They are BRIGHT green with a little bit of mint, lemon, and lime flavors. They are as refreshing as they are beautiful. The perfect St. Patrick’s Day drink! This Cool Cucumber Green Smoothie is a St Patrick’s Day drink will leave you feeling cool and refreshed! 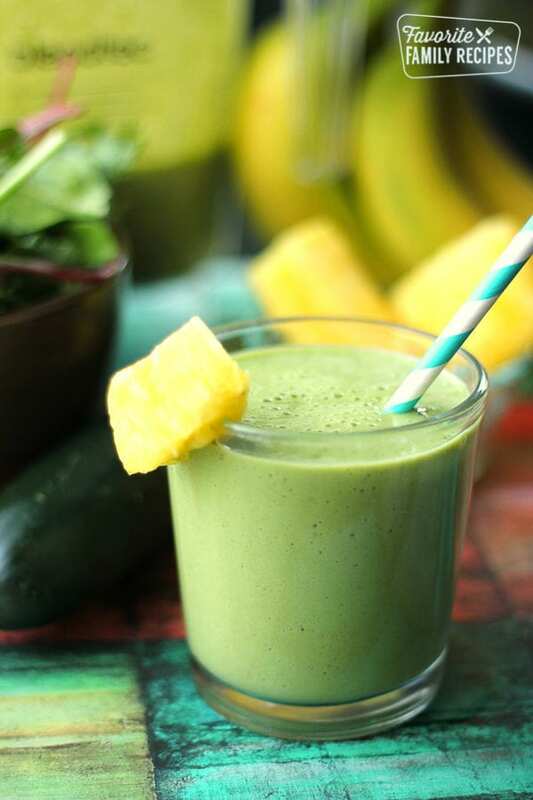 It combines raw fruits and veggies that are blended up in the most delicious way. It not only tastes amazing, but with all those vitamins, it leaves you feeling fantastic!